“Opera Disc Company, Inc.” was founded in January 1921 in New York by Max Hesslein. 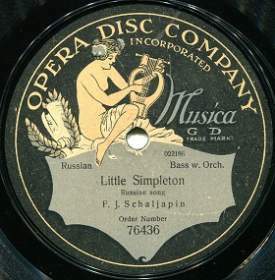 The company issued gramophone records with classical and operatic repertoire in direct competition with Victor's expensive Red Seals. The most curious part in this story is that records “Opera Disc” were printed from the same matrixes as Victor! Why it could happen? To find the answer we have to backtrack to the earliest days of World War I in Europe. At that time, “Deutschen Grammophon Aktien-Gesellschaft (DGA)” was the German affiliate of the Gramophone Company, which in turn was the British affiliate of the Victor Talking Machine Company. As a Gramophone Company affiliate, DGA was entitled to use the “Master's Voice” (HMV) trademark as well as material recorded by the Gramophone Company and Victor. Thus DGA legally acquired a large stock of Victor and HMV matrices. With the outbreak of WWI all Victor and Gramophone Company matrices were seized as spoils of war and became DGA's possessions. In March 1917, DGG' licensed the Victor and Gramophone Company masters to the newly created “Polyphonwerke Aktien-Gesellschaft” company, which produced records for export. The war was over, and Polyphone tried to enter the American record market, but it had little success. However, the company found a ready customer in Hesslein's Opera Disc Company. Polyphone agreed to supply Opera Disc matrixes with recordings many celebrities, who were then under exclusive Victor contracts in the United States. Among them were Enrico Caruso, Feodor Chaliapin, and many others. 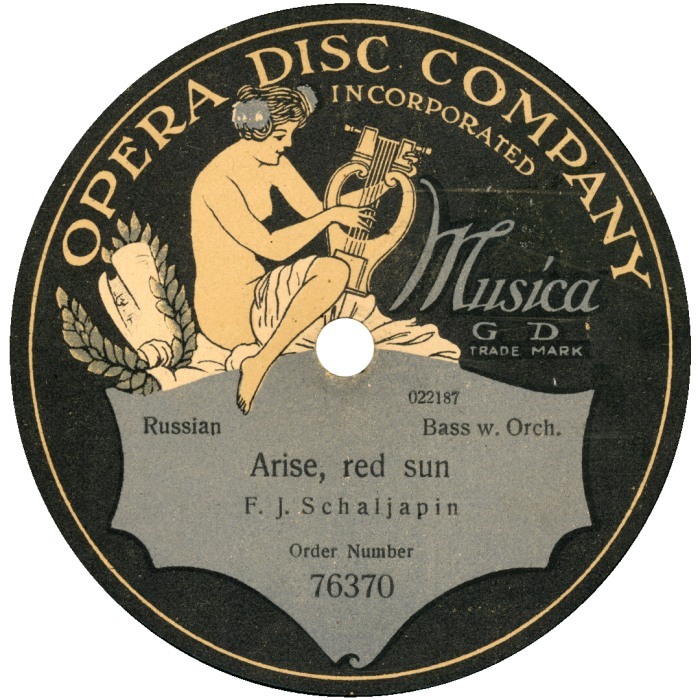 The first Opera Discs were issued in spring of 1921, the last ones in spring of 1923, when the company activity was halted by decision of the U.S. District Court at Brooklyn, New York, where Victor brought suit against Opera Disc. 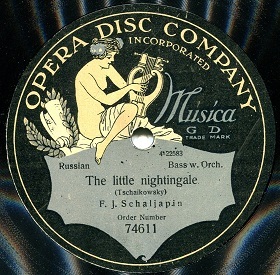 Under terms of the ruling, Opera Disc was not only prohibited from importing, purchasing, selling, advertising, or dealing in any way in records or matrices by artists under exclusive contract to Victor, but also the injunction required the company to turn over all records, catalogs, and advertising material in its possession to Victor. Allan Sutton. The Opera Disc Story.